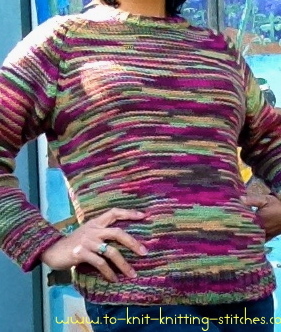 So far, I don't have a lot of women sweater and cardigan knitting patterns of my own yet but eventually I will. I would love to spend more time designing and knitting them for myself this year. Most of all, I can't wait to try my new interchangeable bamboo knitting needles I bought today. Casual & comfy raglan sweater in stockinette st. This is pretty much as basic as you can get for the raglan pattern. Nothing fancy, just knit and purl. Need to know increase, k2tog and ssk for shaping. I enjoy wearing this baby almost every morning (when I go out for a walk with my dog) since I finished it this Fall. 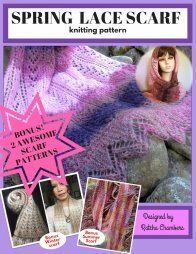 These patterns below belong to other knitters and I found them to be suitable for beginner and I'd like to share it with you. Do You Have A Cute And Easy Knitting Pattern? Let's Share It! Create your own knitting pattern page to share and get rated by visitors, friends and family! You can also add a story along with the pattern, so that visitors can get to know more about you and your work. 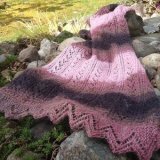 Enter Your Title About Knitting Pattern Here. Your pattern and its story will appear on a Web page exactly the way you enter it here. You can wrap a word in square brackets to make it appear bold. For example [my story] would show as my story on the Web page containing your story.